Beautifully updated first floor end unit located in the highly desirable resort style community of Camino Villas. 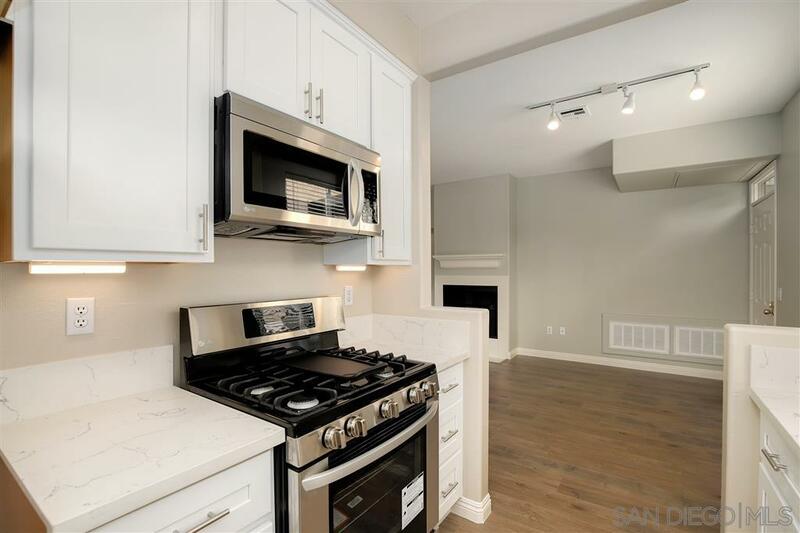 This amazing property has been fully upgraded boasting an open floor plan, beautiful plank style laminate flooring, fresh neutral paint and trim, a cozy fireplace, central AC, in-unit laundry closet, and large windows that bask the unit in an abundance of natural light. The kitchen features modern quartz countertops, sleek stainless steel appliances, and crisp white cabinetry., Unsurpassed community amenities including a sparkling pool, spa, tennis courts, fitness center, and clubhouse. Conveniently located just minutes away from Del Mar beaches,Award winning schools, shopping, dining, parks, Interstate 5, and so much more. Don't let this opportunity pass you by!